Libovar, the tuber with similarities to the potato, Lepidium Meyenii is the primary ingredient in Libovar woman. This herb has a old history as a powerful strength, libido and stamina enhancer. Lepidium Meyenii is creating market demand in Japan, Europe and the U.S.A. and is posed to be a major botanical product on the international herbal scene. 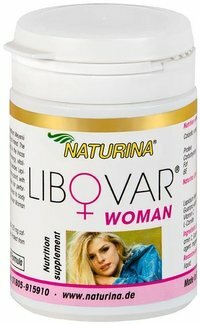 Libovar contains substantial proteins, vitamins, phosphors, minerals, essential amino acids, as well as fructose and glucose and this is unique in nature. Lepidium Meyenii is a substance with naturally rejuvenating and strengthening effects. It helps to optimise concentration and mental and spiritual stability. It is supportive in stress and exhaustive situations and helps to support a healthy immune system.